Well, here we are. The Top 10 songs in the U.K. this week in 1983. If you missed the previous songs, you can go back and check out songs 40-31, 30-21 and 20-11. There will be some very familiar songs on here for us in the U.S. However, there may still be some pleasant surprises. You can click on the song title to get to the song on YouTube, and you can click on the album cover to get the song from Amazon. Now, let’s Return to the week of March 6, 1983, and wrap up the countdown. While this British Jamaican reggae band had only 1 hit in the U.S. (“Pass the Dutchie”), they had several hits in the U.K. between 1982 and 1984. This was their second biggest hit, peaking at #6 on this U.K. chart. Unlike Musical Youth, the Thompson Twins had several big hits in the U.S. But, this was not one of them. It did come close, peaking at #45. However, this was a top 10 hit in several other countries, including here in the U.K. where it peaked right here at #9. 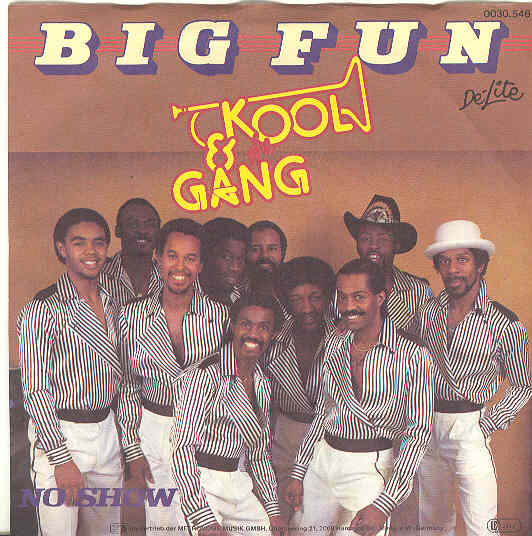 Here is another group that did not make it big in the U.S., with only two Top 40 hits. In the U.K., Madness was huge! And so was the group Madness. (my Brit friends get it) I wish this song made it over here in the U.S. I love it! “Our House” can really get stuck in your head, and this could have done the same. We should all know this song, at least from the original version by Steam. And any sports fan knows this song when their team is about to beat their opponent at home. This is a girl band version of it. I love everything Bananarama does. This was yet another song that did not hit big in the U.S., peaking at #101. But, it was a top 10 hit here, peaking at #5. This was the fifth single released from Bananarama’s debut album, Deep Sea Skiving. We all know this one, as it was a worldwide smash hit. It reached #1 in many countries, including the U.K. for 2 weeks. Not bad for a debut single from a debut album. Another worldwide smash hit we all know. This is one of my favorites of the ’80s, and I still love it. Forrest is not known in the States. But we all know this song from the 1974 original by The Hues Corporation. Forrest does a great job with this. I wish it would have made it in the U.S. so I could hear it more often on 80s stations and shows. OK, no more surprises as we go down the home stretch. This was the Eurythmics breakthrough song all over the world. Maybe it’s possible that some of you may know this song. It was only a top 10 hit in every country in the world that has music charts, and was #1 in almost all of them. Not only was this a worldwide smash in 1983, but it became a huge hit all over the world once again when Jackson died in 2009. It wasn’t reaching the top spot again in most places. But, it was a top 10 hit just about everywhere. And here we are at the #1 spot! This song was written by Jim Steinman, who is best known for being Meat Loaf’s producer. This was Bonnie Tyler’s biggest hit, topping the charts in several countries. I love this song, and most Steinman produced songs. This was not planned, but it is definitely fitting that “Total Eclipse of the Heart” is the #1 song. I got the idea of doing the Top 40 this week from the U.K., from a conversation I had with my best friend, who happens to be from Wales, which is where Bonnie Tyler is from. Bestie and I were talking about music. I had already known that there are a lot of songs that were huge in the U.K, but never made it here. But, this got brought to the forefront of my mind from our conversation, as I did not know some bands Bestie brought up. And there were singers I heard of, but didn’t know they were in a band. So, I thought it would be great to discover great new music. I hope you all thought this was a good idea. Please let me know if you’d like to see more of these. I’ll be back with a new countdown in the near future. Maybe it will be from the U.S. or from the U.K.
Last Question: What nickname did Warren Weber answer to on Happy Days? New Question: What was the name of the company Michael and Elliot owned in the first season? Welcome back as we continue the countdown! If you missed the previous articles, you can check out songs 40-31 and 30-21. I think this has been a great countdown this week already. But, today’s list features quite a few of my favorite bands of all time! These songs may be familiar to most of us, but it is really nice to go back to the time when these hits were new to us. So, let’s Return to the week ending May 28, 1983, and continue the countdown. What better way to start the day than some classic ’80s! 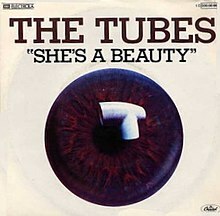 This was the biggest hit for The Tubes, topping out at #10. The disturbing music video was directed by Kenny Ortega. Ortega was the choreographer on Ferris Bueller’s Day Off and Dirty Dancing, as well as directing Michael Jackson’s This is It. Yet another classic ’80s tune! This countdown is a great time capsule for ’80s music. This song was originally performed by Falco. 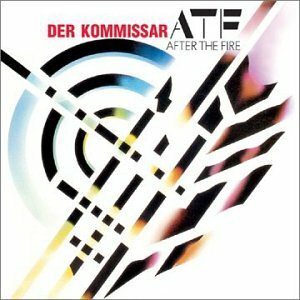 Falco’s version is in German, so it wasn’t a big a hit in the U.S. as it was in Europe. However, a year later, After the Fire recorded this song in English, and made it a smash hit, topping out at #5 on the charts. I think we would be hard-pressed to find a countdown in the early-to-mid ’80s that didn’t have at least one Hall & Oates tune. This song was written, and originally performed by Mike Oldenfield, featuring Maggie Reilly on main vocals. A year later, Hall & Oates took the song, and made it a huge hit, reaching up to #6 on the charts. I prefer the Hall & Oates version, but the original is also really good. One of my all-time favorite bands of all-time! Incredible song off of an incredible album. Def Leppard is still going strong today, as they just released a new, self-titled, album. If you are interested in Def Leppard at all, you really need to check out that album. It’s probably their best since Hysteria, in my humble opinion. This was a very cool ’80s song…until Weird Al ruined it for me. Now, whenever I hear this song, I can’t get Weird Al’s “I Lost On Jeopardy” out of my head, complete with Don Pardo telling Weird Al that he doesn’t win a year supply of Rice-a-Roni, the San Francisco treat, he doesn’t get to come back tomorrow, he doesn’t even get a lousy copy of the home game. He’s a complete loser! Another one of my favorite bands, and their second entry on the countdown this week. This is a very nice Dennis DeYoung ballad from Styx’s Kilroy Was Here album. I knew that this was a great hit, but I didn’t know that it charted as high as #6. Yet another one of my favorite bands! Queen and Journey are my #1 and #2 bands. This song is one of Journey’s most recognizable hits. It is such a great ballad. Between Steve Perry’s incredible vocals, Jonathan Cain’s awesome keyboard riff, and Neal Schon’s classic guitar solo, this is perfection. When I saw Journey in concert in 1999 for their comeback with Steve Auggeri, they closed out the concert with this song. I had never been to a rock concert that closed out with a ballad. It was very classy. And we have yet another classic ’80s song that is also a cover. This song was written by Burt Bacharach and Hal David in the ’60s. It reached up to #49 on the charts in 1964 by Lou Johnson. And just as Naked Eyes has that classic ’80s sound, Lou Johnson has that classic ’60s soft rock sound. The Naked Eyes version was a big hit in the U.S., topping out at #8. We’ll wrap up today with some Rick Springfield! And it’s not “Jessie’s Girl”! This is an outstanding rock song. It was actually nominated for a Grammy Award for Best Male Rock Vocal Performance in 1984. But, just like anybody else who released any songs between 1982 and 1984, he lost to Michael Jackson. Well, that’s it for today. We’ll close out this awesome countdown on Friday. Again, feel free to leave a comment about your thoughts of any of the music we’ve covered so far. Today, I am pleased to present this article written by Robert, our regular Return to the ’80s contributor. 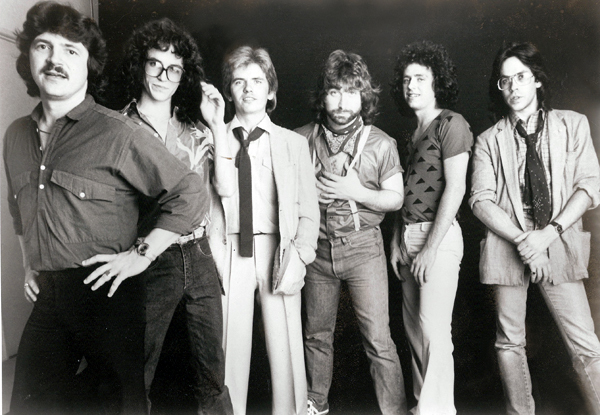 Today’s article is about one of my favorite bands – Toto. I loved them from the first time I heard them – 1982’s smash hit “Africa”. They have so many other incredible songs. Robert will take you on a journey to enjoy some of their hits once again, and help us discover more awesome Toto music. OK, Robert, I Won’t Hold You Back, so go ahead and take it away! The recent death of Toto’s bass player Mike Porcaro in March due to complication form ALS has made the rock world a little less perfect. Toto is one of those band that straddles the line for most rock fans. Nearly everyone recognized a few of their songs, but few casual rock listeners could name more than a handful. Toto’s hit songs are in many aspects, timeless – they appeal to a wide range of listeners from several decades. This is not meant to be a complete history of Toto, rather an homage to a group of fantastic musicians who have left an indelible mark on the rock world. Toto was originally formed in 1977 when studio musicians David Paich (keyboards) and Jeff Porcaro (drums) recruited friends Steve Lukather (guitars), Dave Hungate (bass), Steve Porcaro (keyboards), and Bobby Kimball (vocals) to create their own band. As with many bands, members change and the band is forced to evolve. 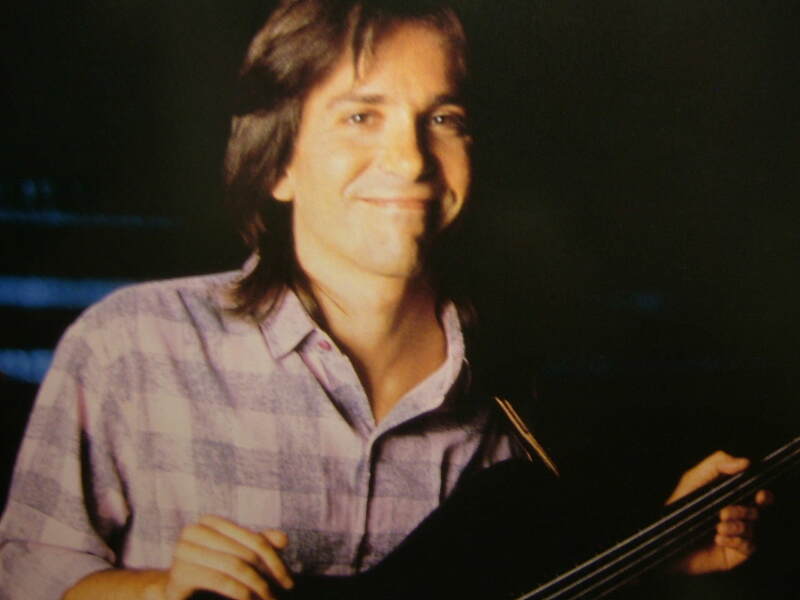 Mike Porcaro, the brother of Jeff and Steve, joined Toto in 1982 and was a member of the band until 2007, when his ALS Diagnosis forced him to retire. Members of Toto played and wrote music for like likes of Boz Scaggs, Steely Dan, Seals and Croft, and Sonny and Cher; but it was not until the formation of Toto that their talents were allowed to soar. Clearly the members of Toto have plenty of musical experience to be considered masterful studio players. One of the most successful and forgotten (or unknown) examples is by virtuoso guitarist Steve Lukather. Lukather was a major player on Michael Jackson’s mega album Thriller. 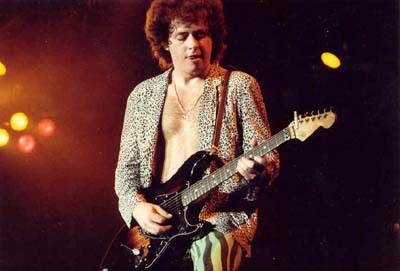 Lukather played on many of the tracks. In a recent interview on Dutch television, when asked about how much he played on Thriller, Lukather humbly uttered, “Over 50%. And it was a blast.” Everyone knows that Eddie Van Halen plays the searing guitar solo on “Beat It“. What many do not know is that Lukather is the master of the rest of the song’s killer guitar work. When considering the music of Toto, I cannot conceivably discuss all of it in the space here- it would not be fair to them. Instead, I am going to take a look at the big singles that the band released in the ‘80s, eleven hits to remind all of us about how good Toto is. This greatest hits entry is not (and not meant to be) a complete retrospective. Toto released five studio albums between the years 1981 and 1988. These album represent a clear high point of the band commercially due to the eight Top 40 hits (the had two previous to the ‘80s). Despite several lineup changes, which in the ‘80s included three different lead vocalists, Toto was able to maintain high quality music through excellent musicianship, solid writing, and sheer talent. This was the first single off this Grammy award winning album. 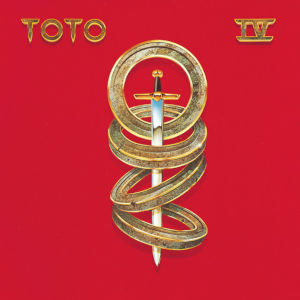 The song itself won the Grammy for song of the year and helped the album Toto IV becomes the band’s most commercially successful release. Legend has it that this song is about actress Rosanna Arquette (yes, the one who will soon film Desperately Seeking Susan). Despite this often heard story, songwriter and keyboardist Steve Porcaro has denied this in several interviews. The song is one of the many that features Toto’s fantastic musicianship that has its roots in the members long time involvement as studio musicians. Yes, it is catchy and the chorus is great, but do not stop the song too early or you will miss the tight sound Toto produced as a unit. The video does feature Cynthia Rhodes (the future star of Dirty Dancing and Mrs. Richard Marx). This song has always been of my favorites by Toto because it strikes me as being a bit different than the rest of their music. This song was one of my early experiences with Toto. I can remember playing this song non stop for hours. The keyboards are soothing and match the smooth beat and bass line along with Paisch’s vocals. The chorus is one that has always stuck with me and pops in my head at the strangest times- I don’t mind, I just leave it there: “It’s gonna to take a lot to drag me away from / There’s nothing that a hundred men or more could ever do.” This is Toto’s only #1 single and holds a strong place in the overall canon of ‘80s music. This is an excellent ballad and Toto’s third Top 10 single from Toto IV. This is a simple, but powerful song about guilt and the toll it can take on our hearts. I have always been intrigued by the fact that there are several band members who serve as lead vocalist. 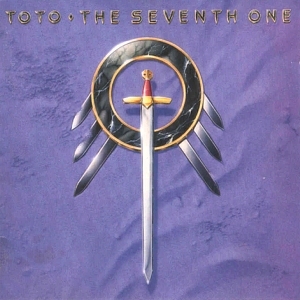 On Toto IV alone, the four hits have three different lead singers – this one features guitarist Steve Lukather. Not only is he one of the top rock guitarists (and underrated), his voice is smooth and fits this soulful song perfectly. This video is a live version that displays his great talent – and his solo is great! This song is the first single from Toto’s album that features new lead singer Fergie Fredricksen. He was brought in to replace Bobby Kimball who was having drug related issues. Richard Page from Mr. Mister was asked to join Toto but he refused because he wanted to stay with his band (and we know what is coming from them). I have no good reason, but I have always liked this song. I discovered it one day as I was sifting through my girlfriend’s record collection. I was on the lookout for records I did not own, and, while she did not have many, this was one of them. I am not sure how I missed buying this one – I owned (and loved Toto IV) – perhaps this is a result of the poor airplay it received as well as the lack of a positive critical response. It is a bit of an uncharacteristic song from Toto. The lyrics are a bit story-like and focus on several sightings of a stranger- a bit of a mystery, I suppose. I do like the chorus: simple, but with a few guitar chords that I have always enjoyed. This song is catchy, but does not have the typical Toto musical punch, although Lukather’s guitar almost saves it. As the chart placement suggests, this was not a huge hit for Toto, but it was the second, and last, single released from Isolation. One thing that Toto has typically been known for is a song or two with a female name as a title. This song is not bad as it is another that features Paisch on both piano and vocals. The lyrics are not deep or thought provoking, but the song is catchy and worthy of a little attention. “Would Toto’s third lead vocalist of the ‘80s please take the stage.” That vocalist would be Joseph Williams, who will be featured on Toto’s last two albums of the ‘80s. This song is another very smooth ballad that features a lie. The speaker in the song has lost a special someone and is lying to himself- he doesn’t need her and she will soon be forgotten – yeah, right, “As soon as my heart stops breaking / Anticipating / As soon as forever is through, I’ll be over you.” This song received substantial airplay and was helped out by backing vocalist Michael McDonald. The video is shot on a rooftop (a bit cliche, but I love it) and shows Lukather on vocals, once again letting his talent shine through. I listened to this album hundred of times during the beginning of my senior year in high school. This song became an important part of my outlook on relationships. I met my girlfriend (now wife) in October of 1986 and I did not want to end up like the speaker in this song – alone, and wishing he could regain what was lost. This is another song that features Lukather on lead vocals. This is a somber, brooding song with a killer bass line and guitar work. The speaker on the song is pleading, and realizing that life is not as good as it was when he was with the woman he loves. 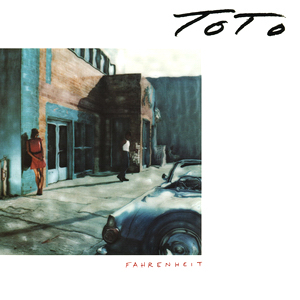 Neither of these two songs from Fahrenheit features Toto’s new lead vocalist. For a great sample of his work on this, his first album with the band, check out “Could This Be Love“. Mike Porcaro’s death reminds us that an all things will eventually fade- even the heyday of great bands from an era of excellent rock music. Toto is still recording and performing live, and I admire their commitment to their music, but an important piece of the ‘80s rock world’s puzzle has been lost and can never truly be regained. Toto has so many great songs that it is nearly impossible to have them all here. The ‘80s were clearly a great decade for this band, but do not limit yourself to just these songs and videos. Dig into the music of this group of influential and slightly underrated band- you will not be sorry. Great job SouthernHon (@peacesong464), Frida (@carrjam94), and Jim (@JimVilk) as well as Robert’s AP English class once again (@mishouenglish)!!! It’s great to see that our future generation knows all about awesome music – proving that there is hope after all!! !